Kids love to explore, but I think adults need to spend time getting lost in curiosity, too. And Berlin offers this in spades. When I was a kid living in what was then remote, semi-rural suburbs of Milwaukee, my mom would drive my sisters and me to nature. We’d go pick cattails, or swim in the little local lake in summer. In winters my father would take us to the nearby pond to ice skate or the park two towns over to cross-country ski. At the age of six, my younger sister and I could even wander off to the local creek where we spent time with the crayfish and insects. I was fascinated by the crayfish and even tried to sneak one into our bedroom closet. The smell gave it away and we had to return it to the wild. These are my best memories of childhood, of spending time in nature. They even top our trip to Disneyworld. 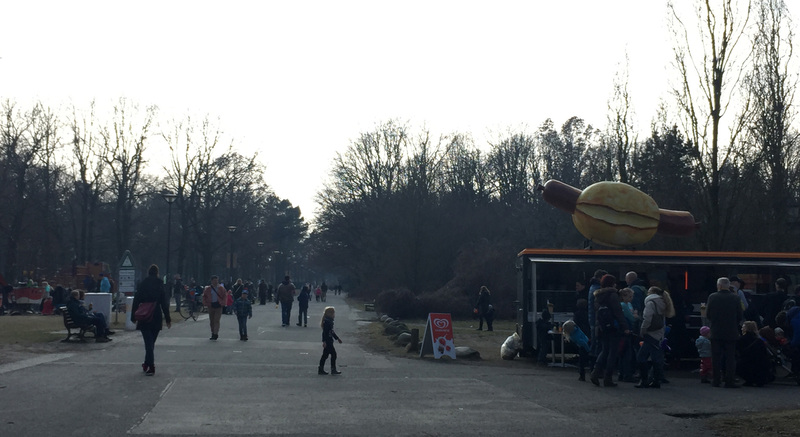 Berlin is a city where you can do all of these activities, all within the city limits. 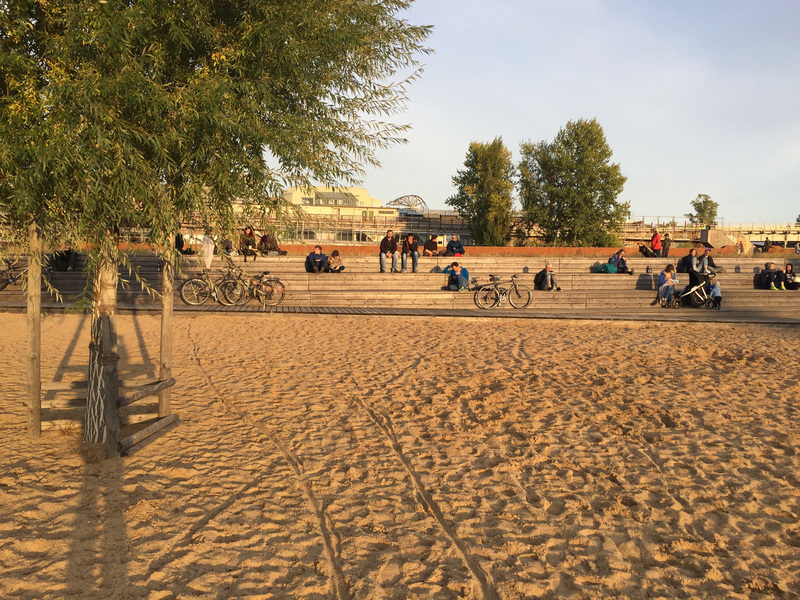 If you want to wander in open spaces, Berlin offers you many places to do this. I especially like the long stretches of park space that allows one to wander across neighborhoods without the pressure to buy anything or read advertisements. You have moments where you are in a parallel universe. 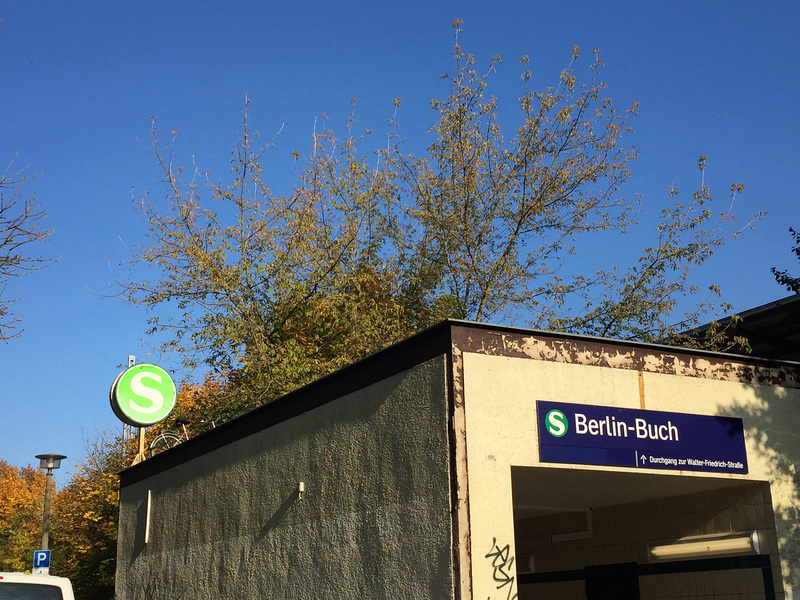 My first year in Berlin, even after carefully studying the map, I found myself getting lost over and over. There is something beautiful about getting lost. It makes a journey feel more adventurous or mysterious. 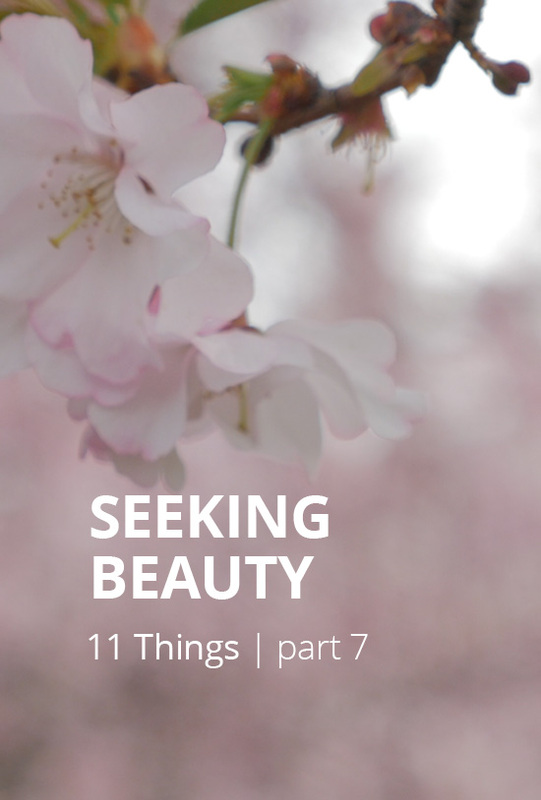 It takes me out of everyday life and forces me to pay attention to my surroundings. I notice things I wouldn’t notice if I was biking with confidence. I cherish those days when I can explore without having scheduled commitments or obligations. 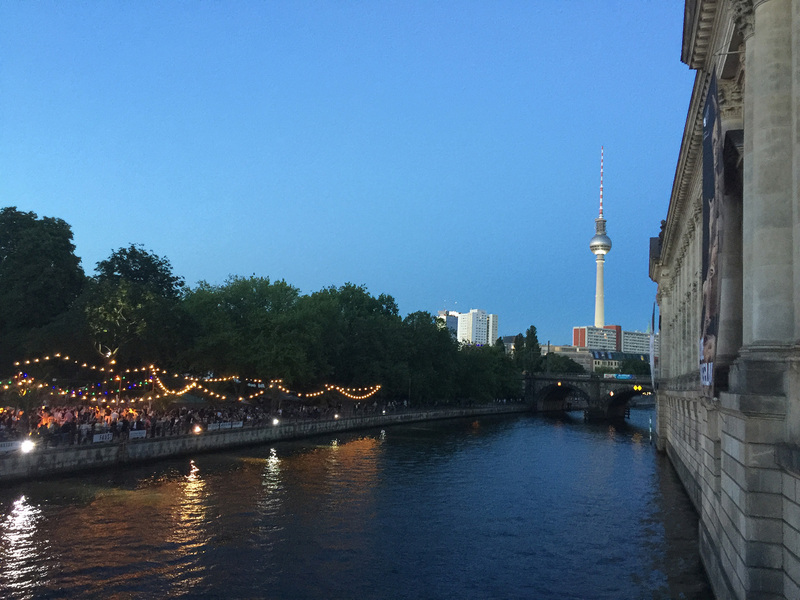 One of the beautiful things about getting lost in Berlin is discovering that you can find your way home, even if your cell phone battery dies (yep, that’s happened to me many times). There are maps at most bus stands. I’ve used these maps more than once to find my way home. It is a good reminder for when I find myself lost in daily life. You can find resources when you need them. And sometimes it is the getting lost that leads you to new and interesting experiences, ones that you treasure years later. 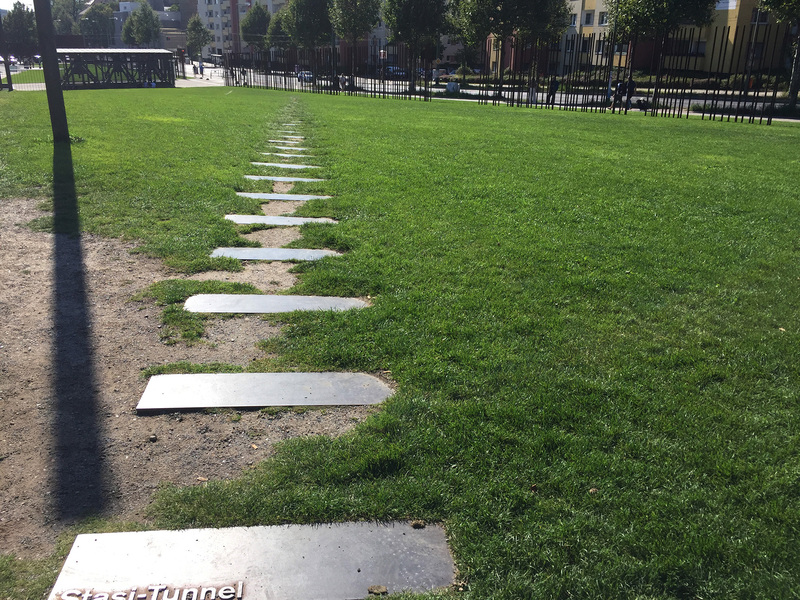 In Berlin, I found I didn’t have to go too far to wander. My first fall here, I set out to ride the length of the Panke river starting in Wedding, 10 minutes from my house, to the northern edge of Berlin. When I entered the pathway, I felt like I had already left Berlin. As you bike north, the buildings become farther away from the river’s edge and you find yourself passing open spaces. Parks and community gardens provide green views to both your left and right. At a point in Pankow the bike path drops into a tree-lined gravel pathway with the river on the left and several lakes on the right. I had the feeling of being in the countryside, yet was only 7 km from my house. The Panke River gave me the opportunity to get lost. The river path alternates sides. But at intersections, where to switch sides is not always obvious. 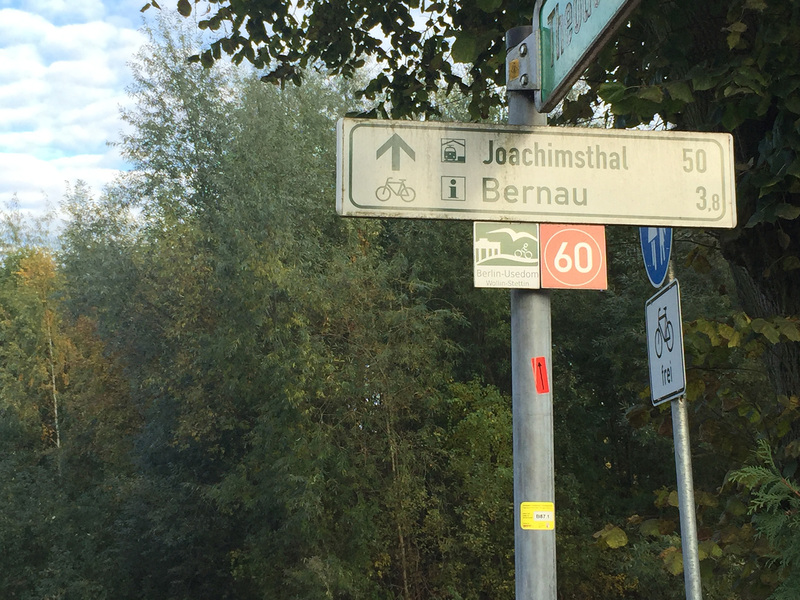 In fact, I managed to start biking onto the freeway one time (I think it is time for me to learn German roadway signs). I enjoy wandering by foot as well. 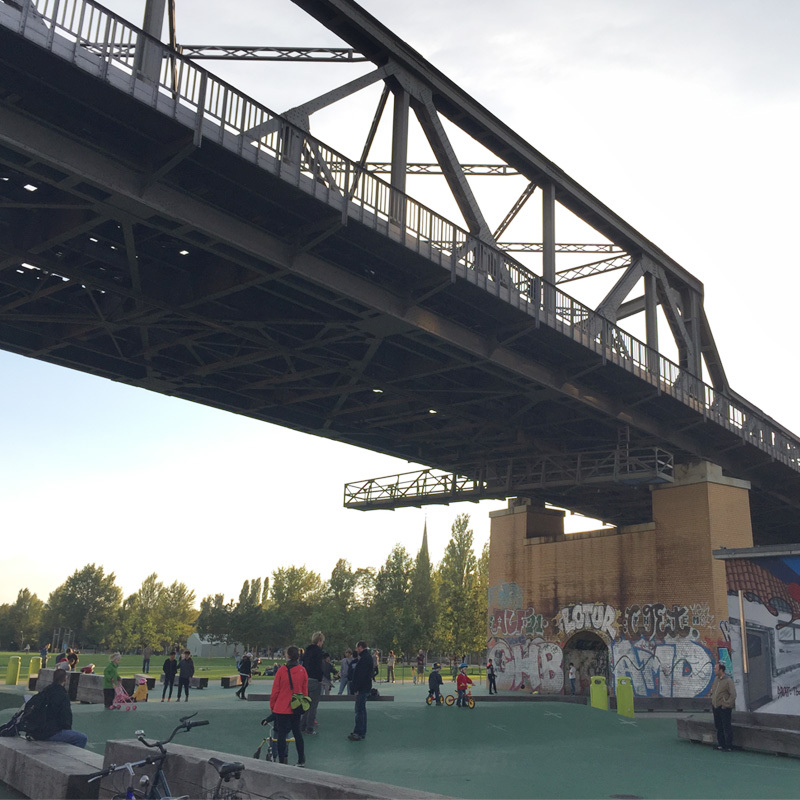 The canal in the hip neighborhood of Kreuzberg offers space to walk, sit, play ping pong or bocce ball, dog watch (like bird watching but checking out the dogs), contemplate or have a conversation. In winter I discovered an unexpected carfree pathway. Between the Gleisdreieck and Priesterweg S-Bahn stations there is a tract of land that at one time had been an old railway which is now a series of parks and bike/walking ways. When I discovered this I was in search of parks with female names, part of my Public Figures research. 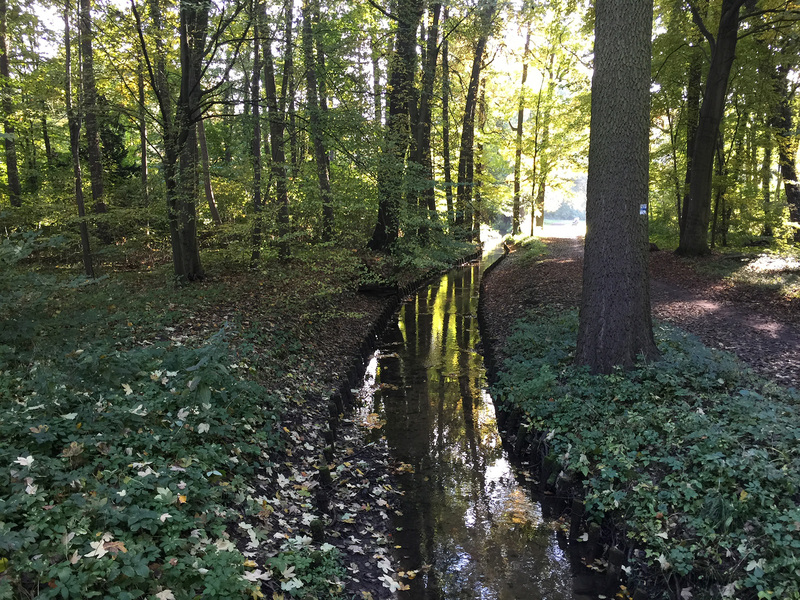 I wasn’t familiar with German names and thought that Lilienthal sounded female so I set out for Lilienthal Park in Steglitz, 20 km from my apartment. I didn’t realize that Lilienthal was a last name and the park was named after Otto Lilienthal, the first man to take flight in Germany with his handmade gliders. According to Google maps, this route was the most direct. Even so, I encountered some of the same navigation issues that I did with the Panke river. There are gaps in the pathway and odd workarounds connecting one section to another. 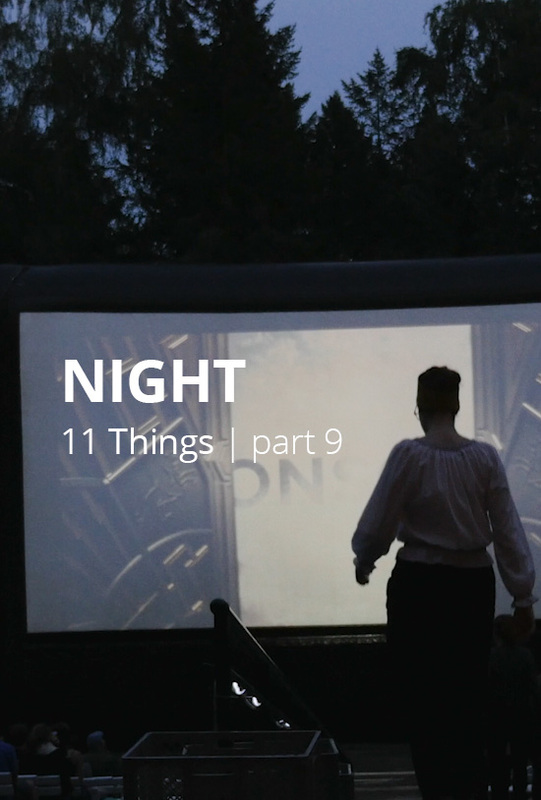 On that first trip, I was wearing gloves and had my phone in my purse. I relied on the phone to find my way but the cold caused my phone to die early in my ride. I didn’t manage to get past Priesterweg S-Bahn station that first attempt. In fact, it took me three tries before I managed to reach the park. Even with getting lost and it being winter this pathway brought me great joy. 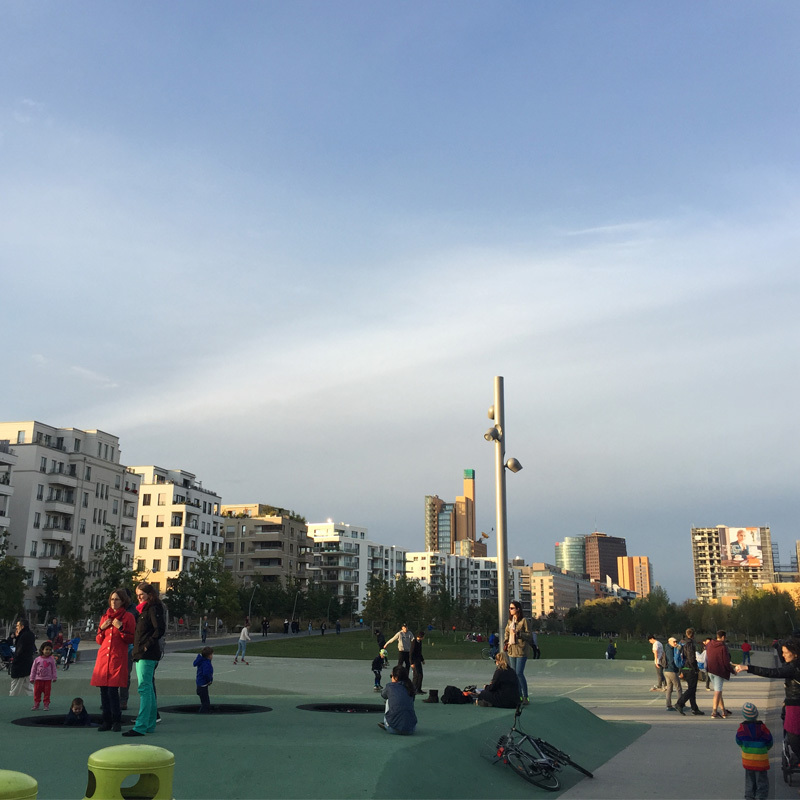 Gleisdreieck has been converted into a wonderful multifaceted space with trees, a large playground, skate park and open spaces commingling with the old rail lines in an organic and sculptural way. Beyond Gliesdreieck the pathway drops below street level, letting you breeze along without interruption for blocks. At Südkreuz it then raises up above the street giving you the feel of floating above the city. There are large stretches of green, a small basketball court, and several lounge chairs, but mostly open space. Apparently, there are plans to make more pathways along train routes. I read that 12 were funded and several were slated to be open at the end of 2017 but as of summer 2018 I haven’t seen any of them, nor have I read any announcements. I look forward to wandering new routes. There is still one large tract of land that I’ve only managed to see in fragments so far. That is the traces of the Berlin Wall. 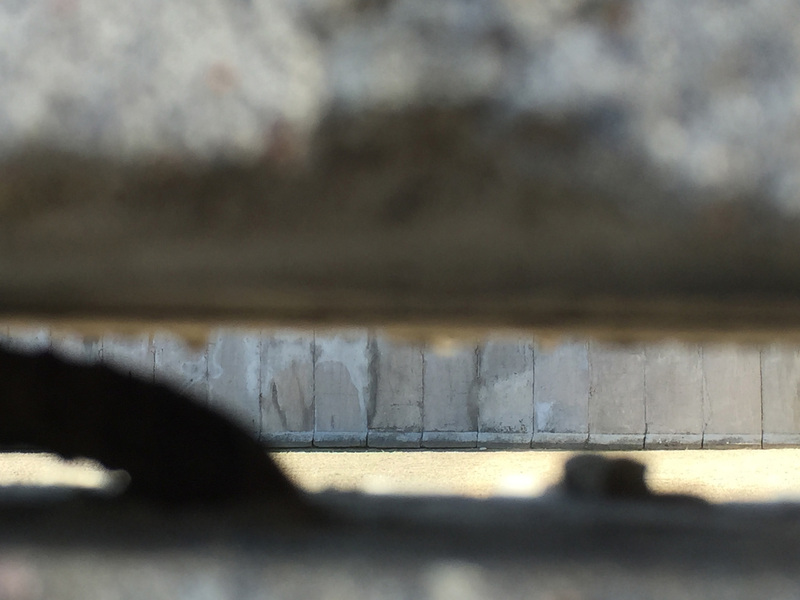 There were actually two walls that once circled West Berlin, preventing East Germans from leaving the GDR/DDR. One faced East Germany and one faced West Berlin, with a strip of land in between (the death strip) for extra security to prevent escapes. That was a lot of land. I live near the former wall and see markers of the wall everywhere. The full length of the wall covered 146 km. One can bike/walk the former wall today on the Mauerweg (Wall Pathway). 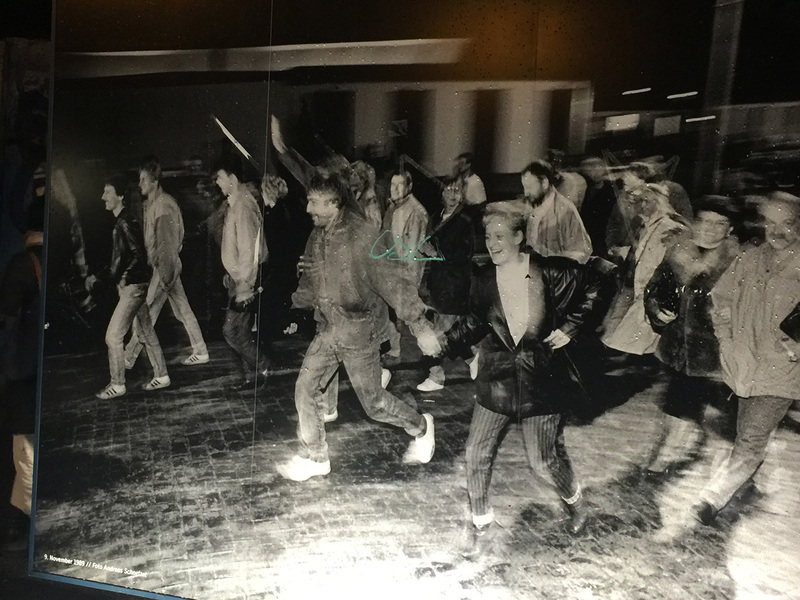 The Wall came down in 1989. 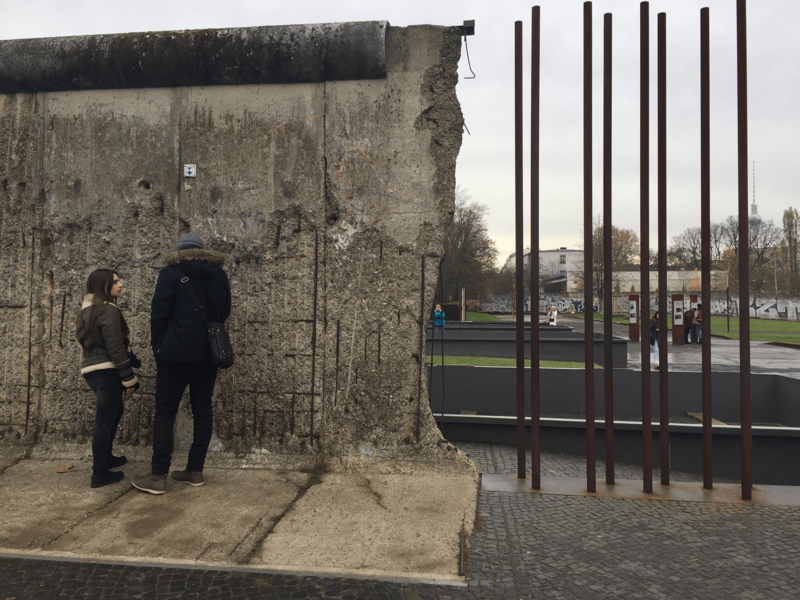 Today, the world has more walls than at the time of the Berlin Wall. Walls are being erected around Europe, enforced with concrete in Israel, extended in the United States. I feel that biking the Mauerweg provides a reminder that things can change. Every few months I find myself looking at the 20 green corridors that Berlin has detailed on the Senate website. I daydream about finding time to explore all of these pathways. Each time I try out a new route, I experience something unexpected. I feel more connected to the city and experience more little moments of joy. I think getting lost has been an important part of this project, maybe even necessary.